ZF- 4 WG-94. Power-shift transmission , 4 Forward, 3 Reverse, electrically actuated by an electrical twist grip. 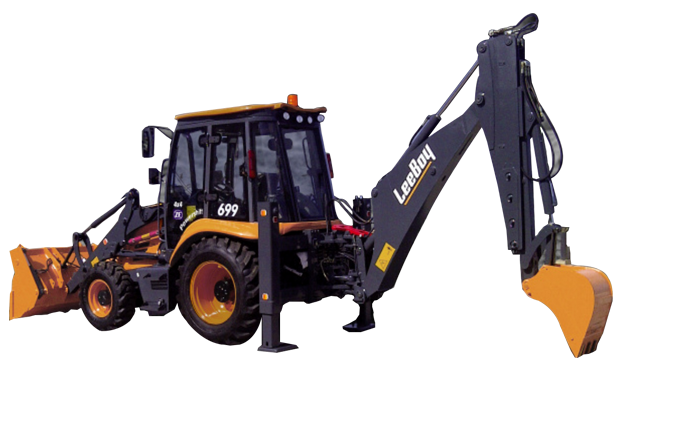 New Generation Backhoe loaders geared to perform under extreme duty cycles and tough environmental conditions. Hydraulic-pilot operated Joysticks on Backhoe side. Cable remote joystick on the loader side. Closed Center with Post-compensated, Anti-saturation, Flow-sharing valves with Variable Displacement, Axial Piston Pump.